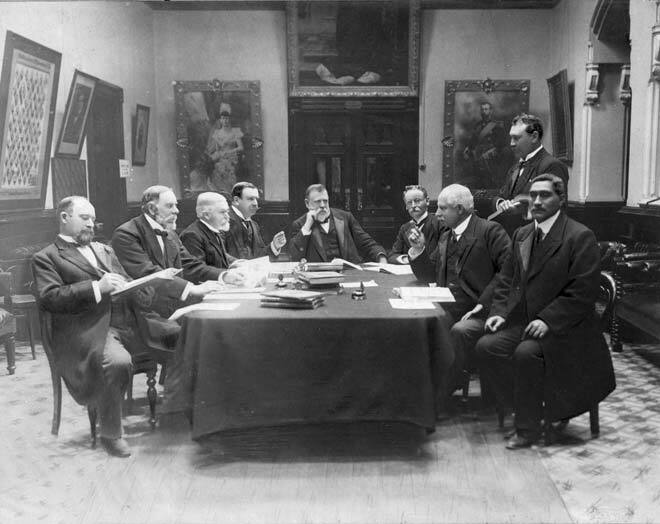 Mahuta Te Wherowhero, the third Māori king (far right), appears uninterested in proceedings in this photo of Premier Richard Seddon's cabinet between 1903 and 1906. Mahuta was appointed to cabinet in 1903 after agreeing to Seddon's proposal to open up the King Country for sale and settlement. After Seddon's death the Māori King movement was revived and Mahuta made no further contribution to parliamentary politics.